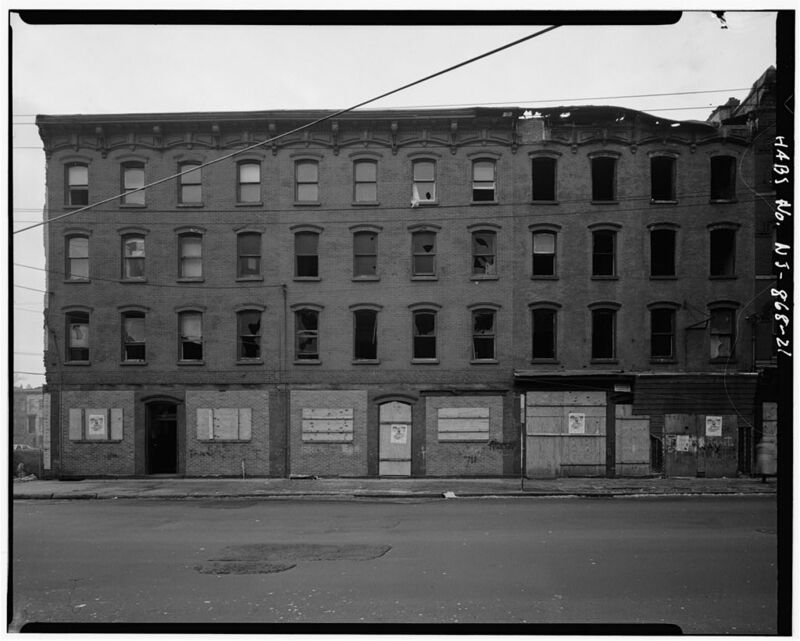 The photos in this post are taken from Montgomery Street looking east, towards the Hudson. 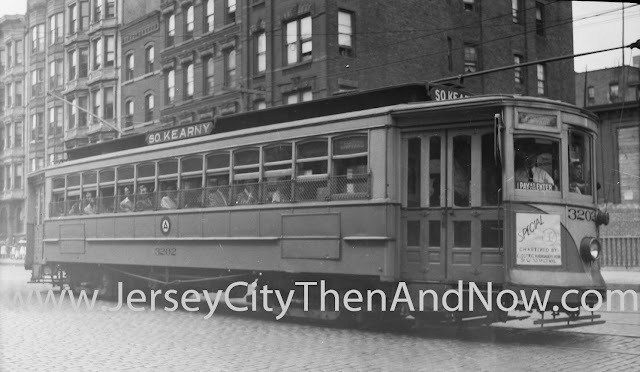 At the time when the old photo was taken, Montgomery intersected not only with Warren St but also with Newark Avenue. 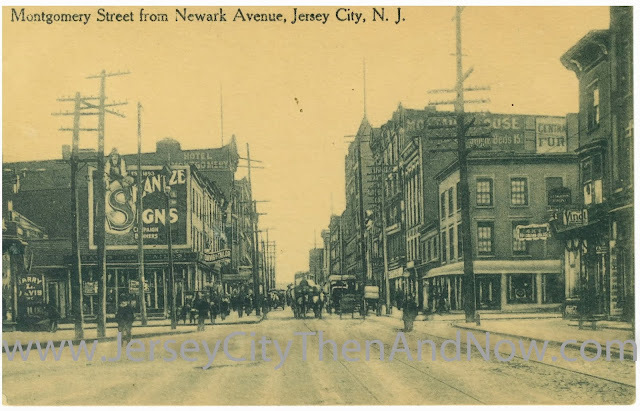 The ‘askew’ intersection of Newark and Montgomery can just barely been seen in the outline of the side walk at the left side of the postcard. 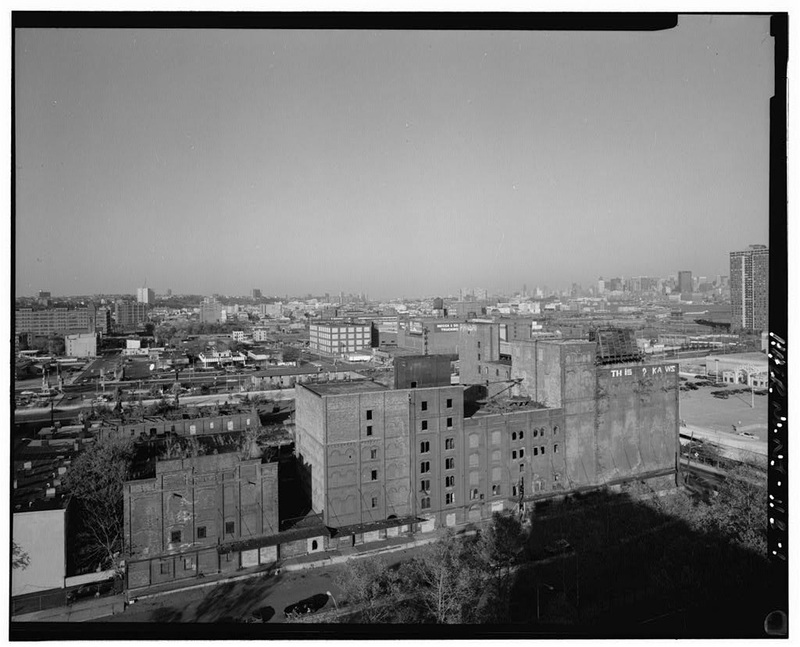 As mentioned in previous posts, a several block large area was razed in the 1950s to make way for what eventually became the Metropolis Towers. 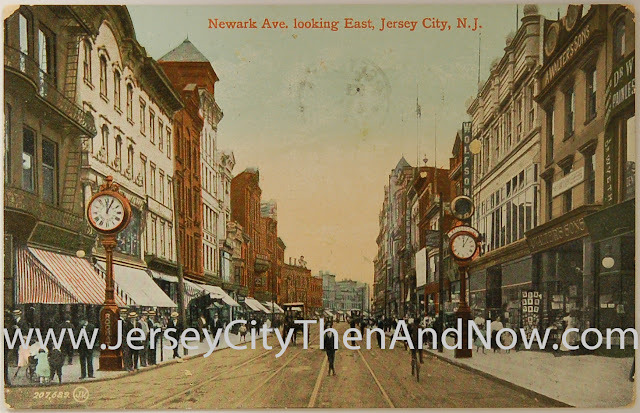 Newark was at the same time shortened to end at Railroad Avenue (now Columbus). 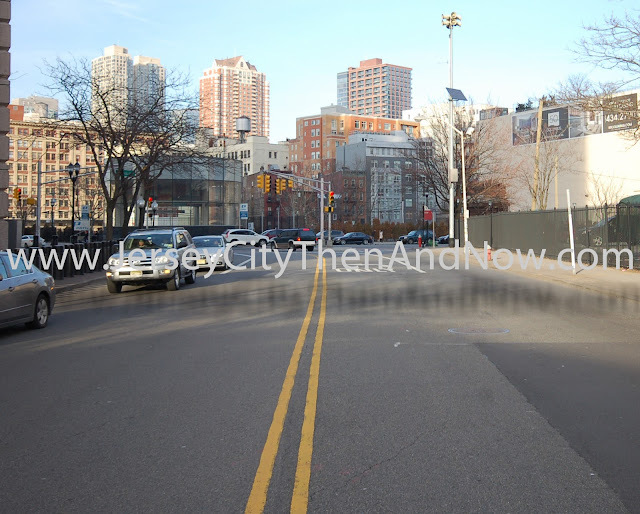 It is likely that the widening of this part of Montgomery Street (that can be seen in images above) happened at the same time. When looking at old maps, e.g. 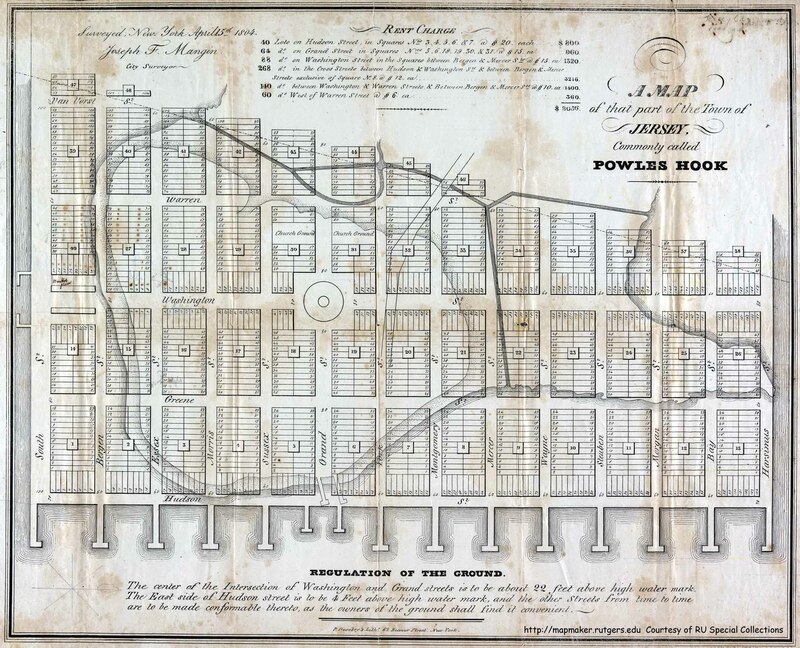 this from 1804, one can see how Newark Avenue previously had continued not only to Montgomery as in this postcard, but to York St. And even earlier, before Jersey City had become a town and it was ‘just’ a fort in what is now the Paulus Hook neighborhood, what became Newark Avenue was the one and only track that lead down from the palisades / heights, cutting through marshlands on both sides, to the fortification in Paulus Hook (Powles Hook) insert link to LOC. 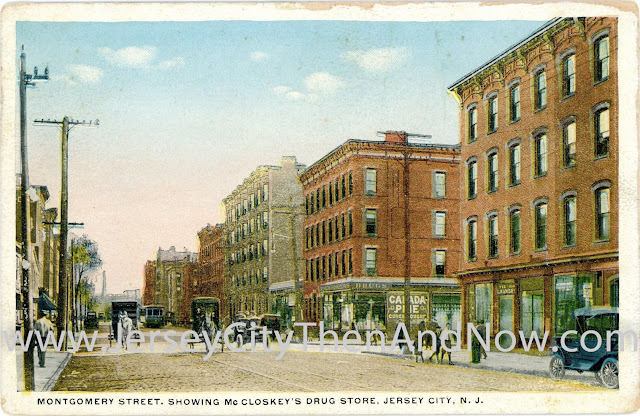 Of the buildings in the old postcard, it’s only the buildings on the right hand of the street, beyond the intersection with Warren that are still standing today. 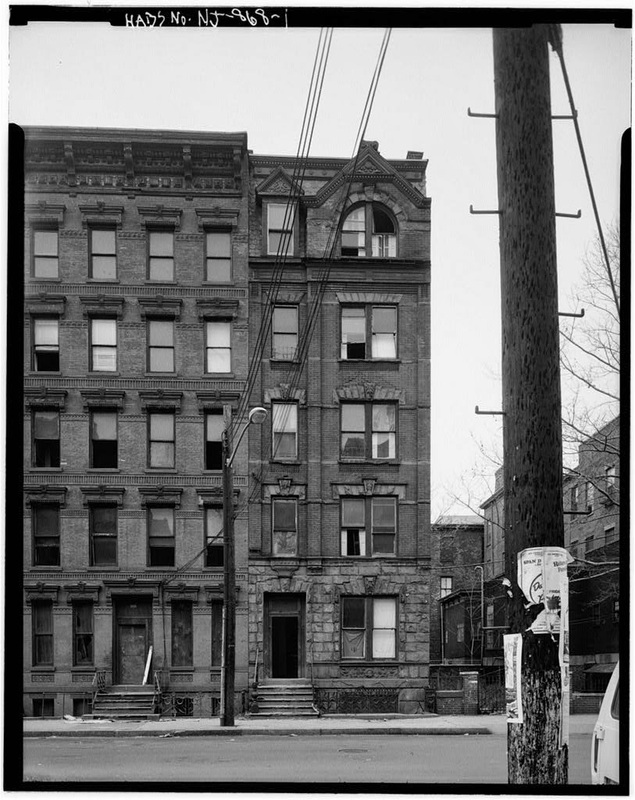 One of them, Montak House (the name is painted on the side of the building in the old postcard, above an offer of single beds at 15 cents per night), has recently undergone extensive renovations to restore the façade. 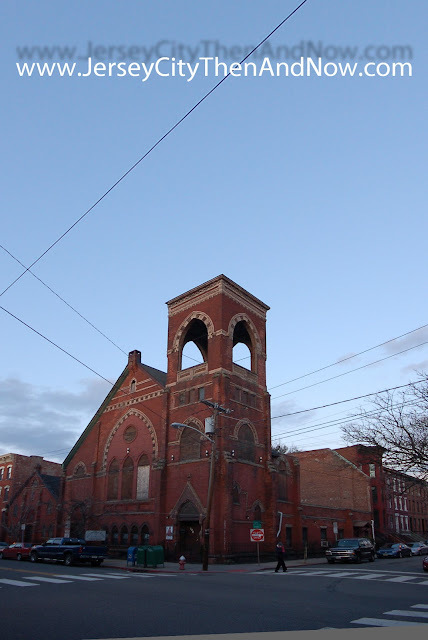 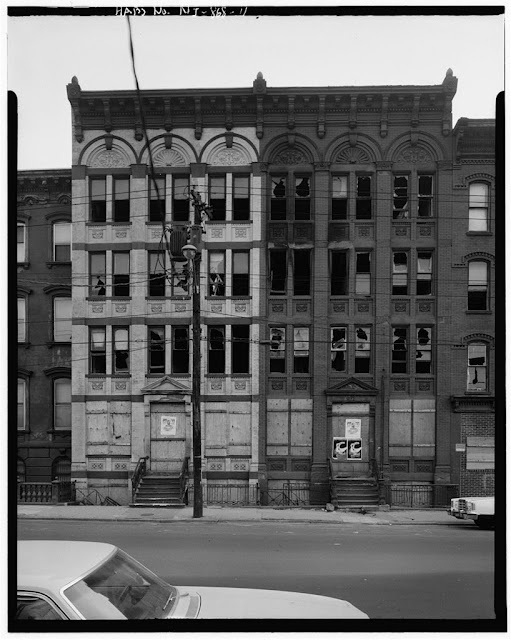 Kudos to the developers and/or historic preservation commission for safeguarding the façade of the building. 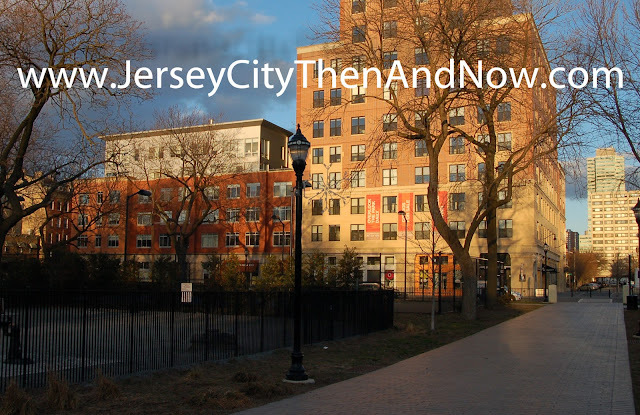 Always appreciate feedback and interaction – please use the comments functionality below and drop me a line if you have photos to share. 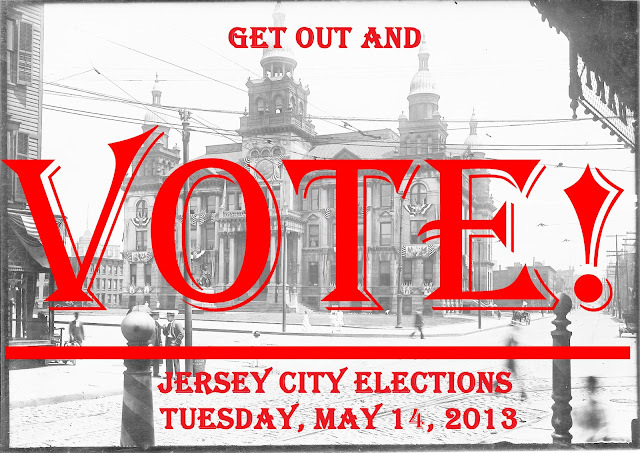 And make sure to like the blog on Facebook / Google+ so that others that may be interested find out about this page! 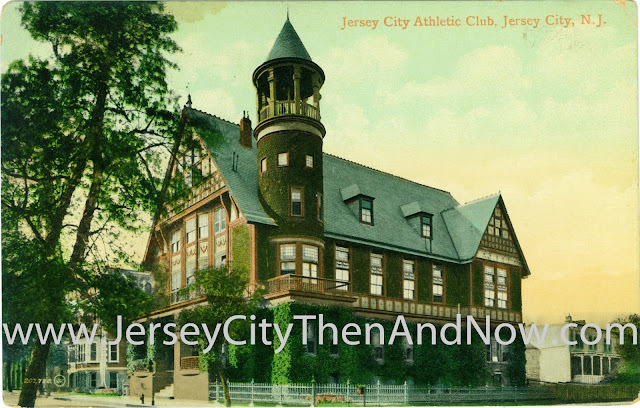 The old postcard is from my personal collection. 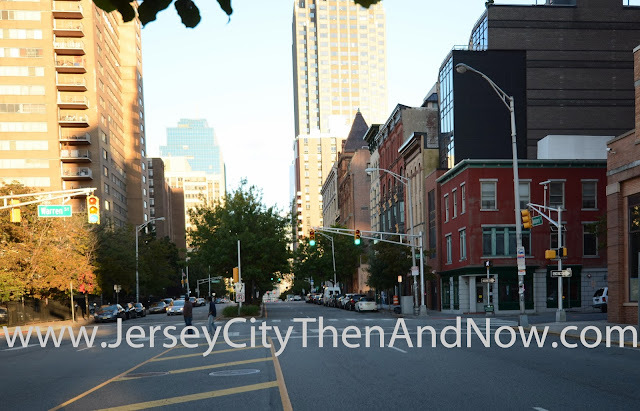 This street has changed quite a bit... actually this whole area of downtown Jersey City has been dramatically altered. 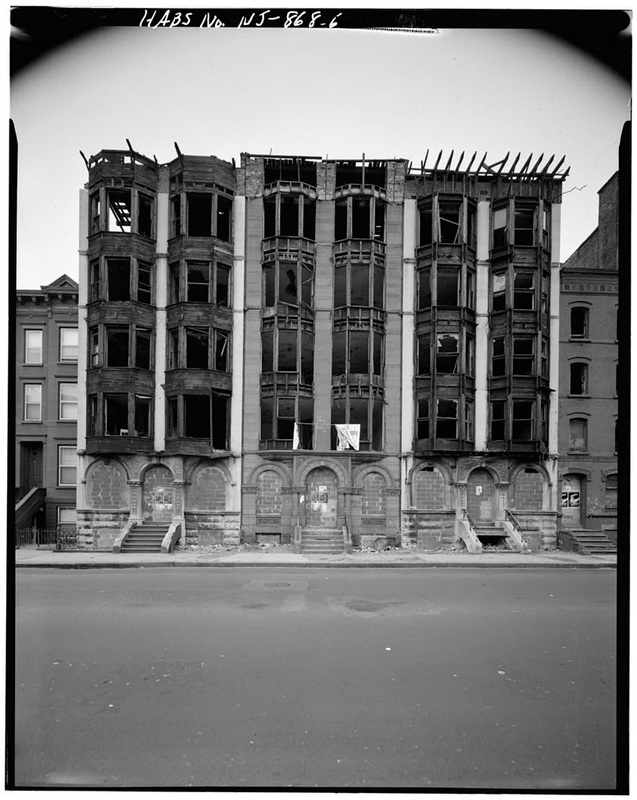 was razed in the 1950s to give way to high rise buildings. 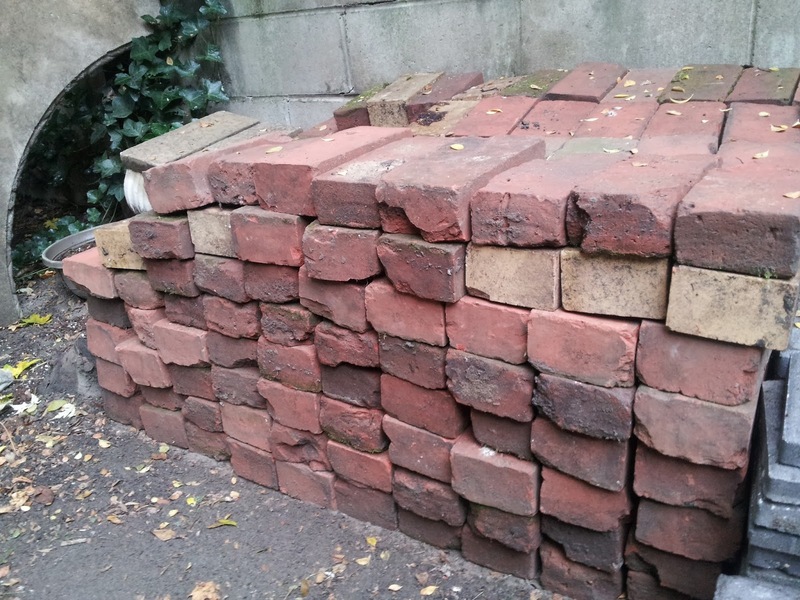 One project took a particularly heavy toll - the Metropolitan Towers. 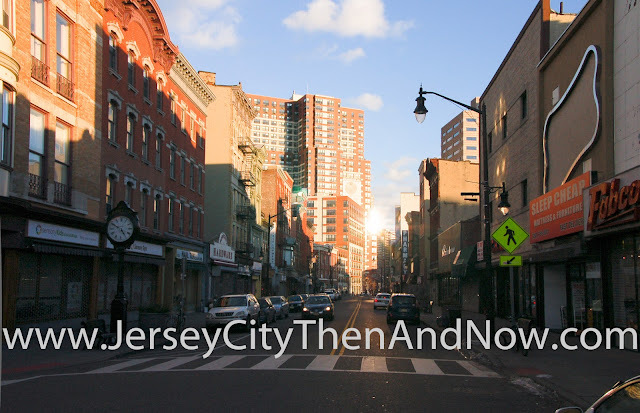 From the late 1800s to the 1950s, this section of Jersey City was dominated by three to five story commercial brick buildings - the kind that are still standing on Newark Ave, between Grove and Jersey Ave. 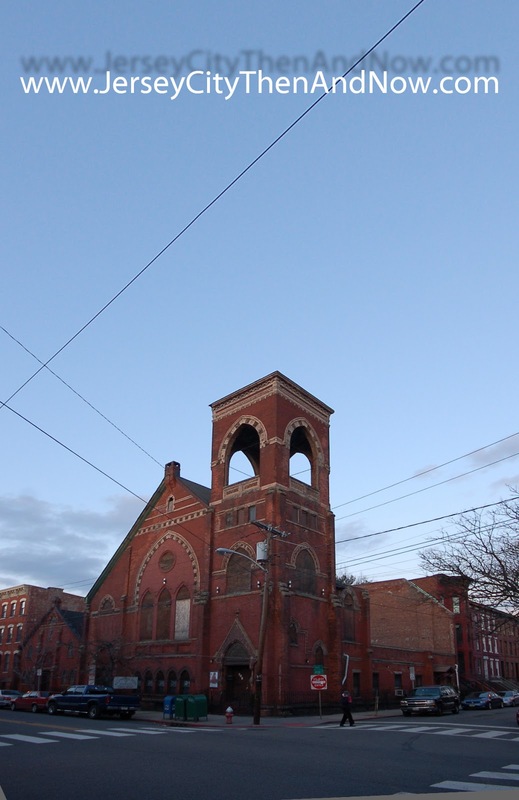 Many of the buildings were very ornate, as I will show in future posts. 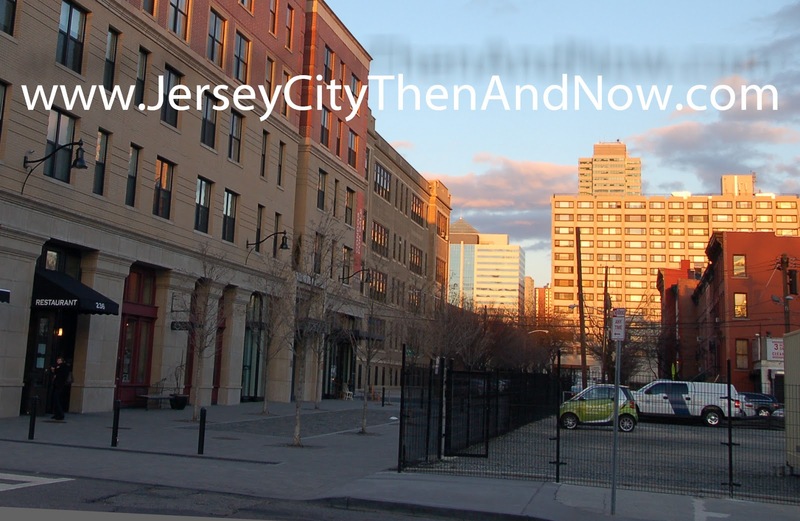 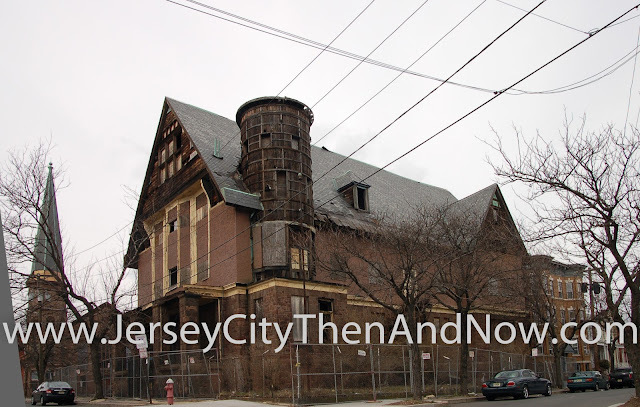 But during the 40s and 50s downtown Jersey City had declined. 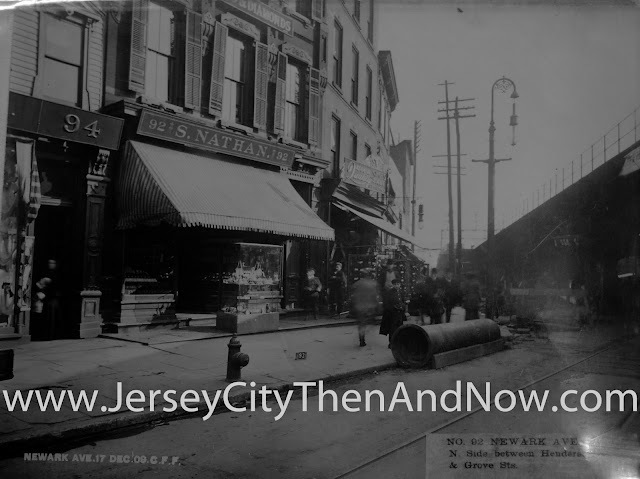 It was because Jersey City was a railway hub, and the importance of railway had been giving way to cars and trucks. 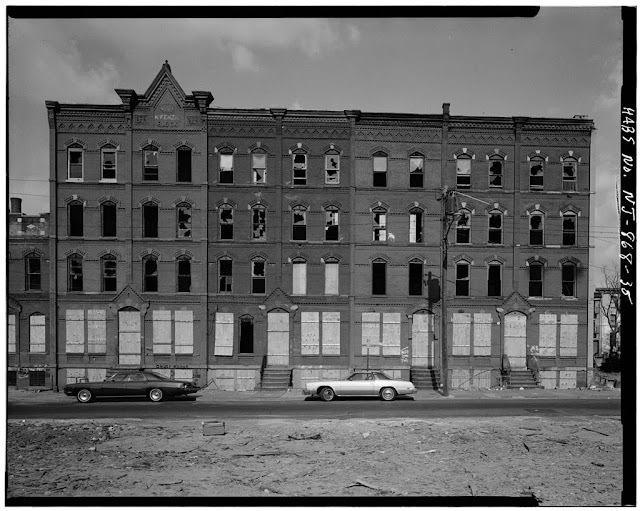 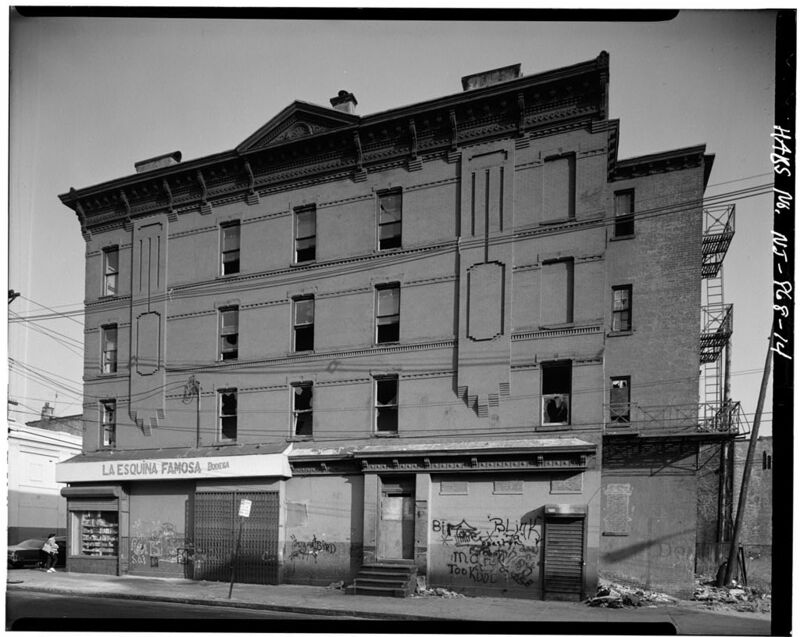 The housing stock reflected this downward slide with many boarded up and vacant buildings. 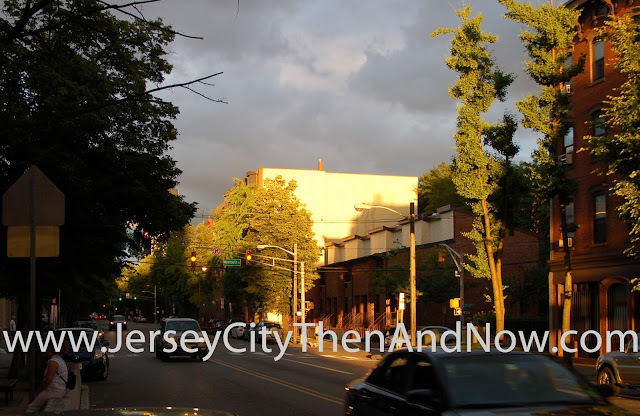 But what happened when planning for the high rise project that eventually became Metropolitan Towers seems excessive even against this backdrop - several blocks of downtown Jersey City was razed and two large sections of two streets were eliminated from the map. Today Newark Avenue ends at Marin Boulevard, but it used to continue to meet Montgomery Street. 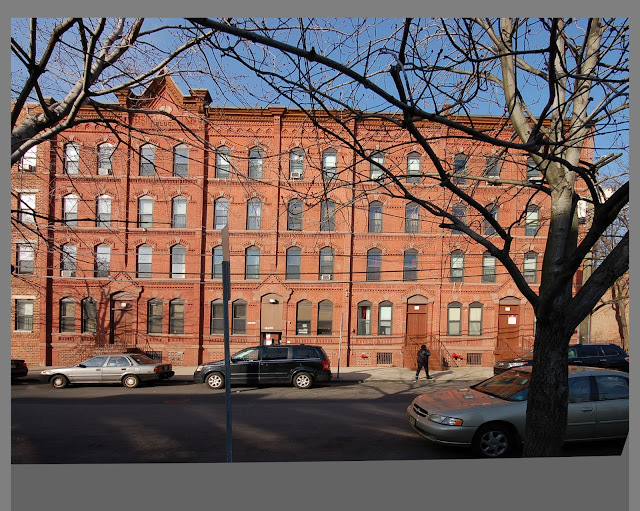 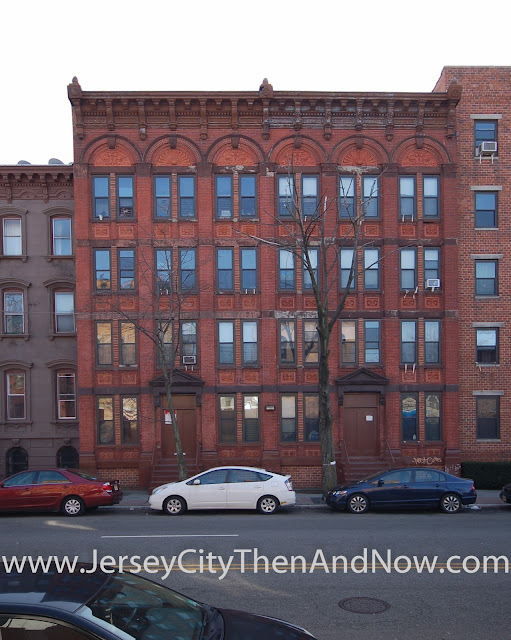 There was also a street parallel to Newark Ave called Gregory Street. 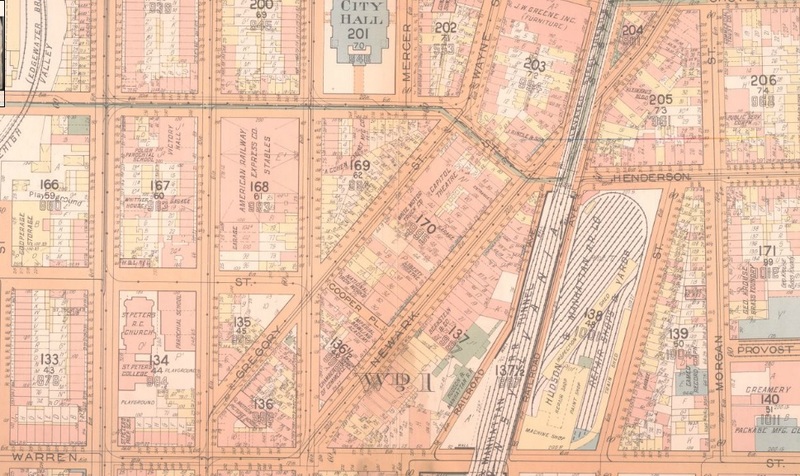 All of the buildings on all of the blocks facing these streets were demolished and the streets themselves literally vanished from the maps (and the real world). The map below shows the streets and blocks before the demolition frenzy in the 1950s. 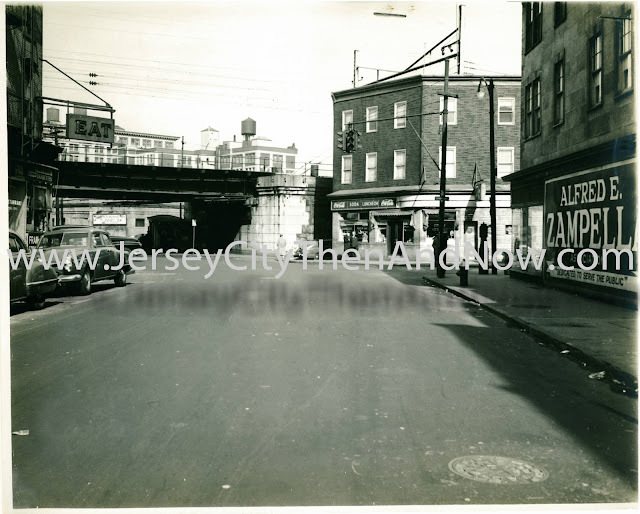 Going back to the photos : the photo is taken on York St looking west towards Marin Blvd (aka Henderson St.). 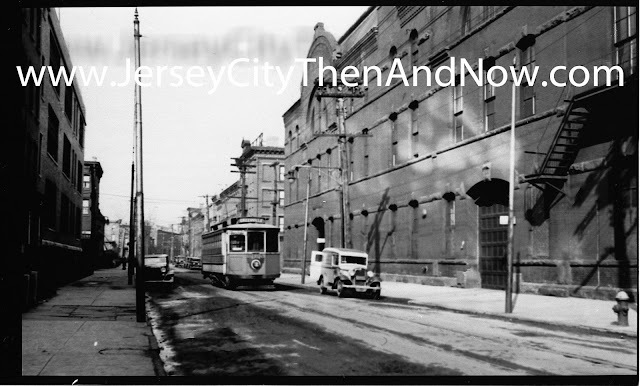 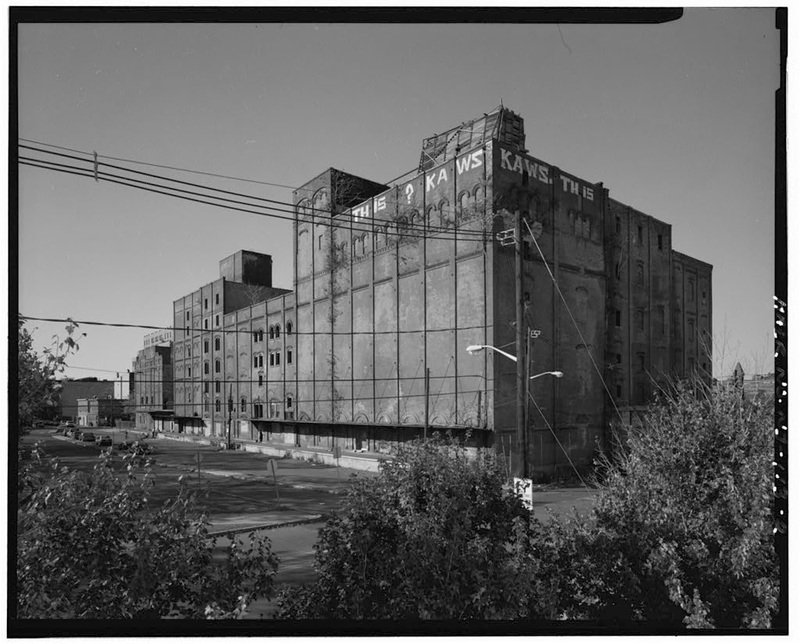 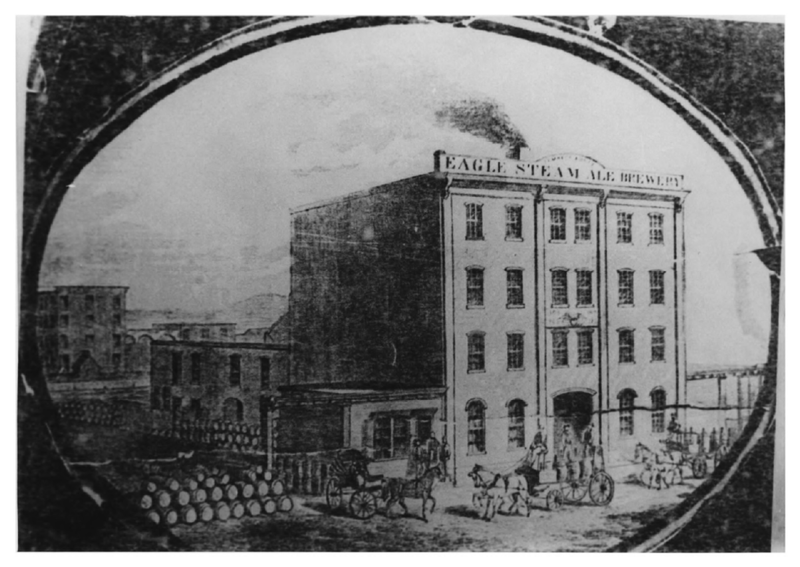 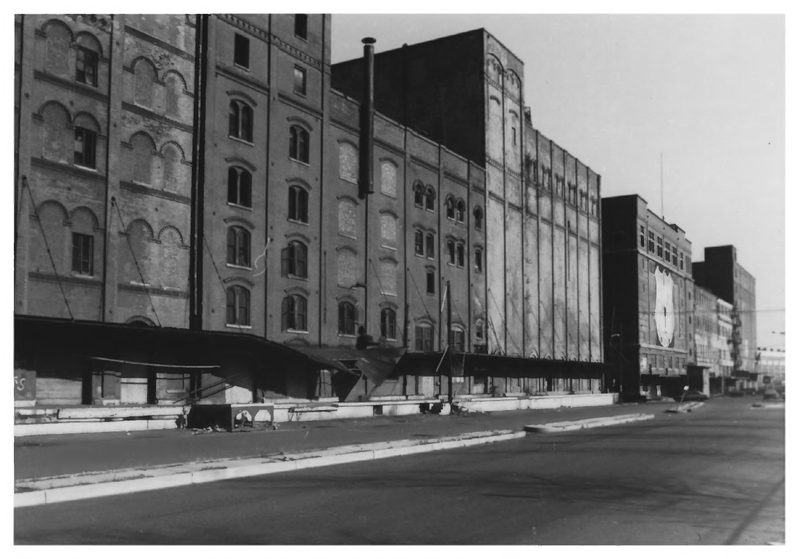 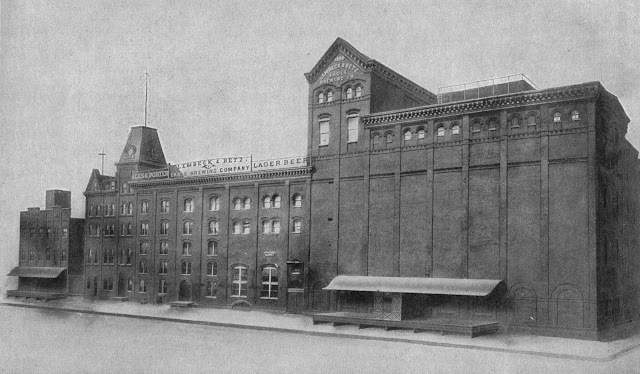 The building on the right in the old picture was one of the buildings that was erased to make way for Metropolitan Towers - it was the American Railway Express Co. stables. Beyond the intersection with Henderson is the building that put me on the right track to locate where the old photo was taken - the corner building that currently houses a bodega. 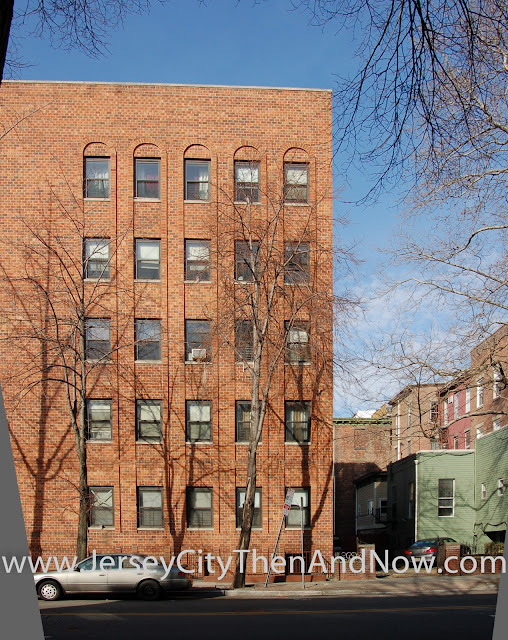 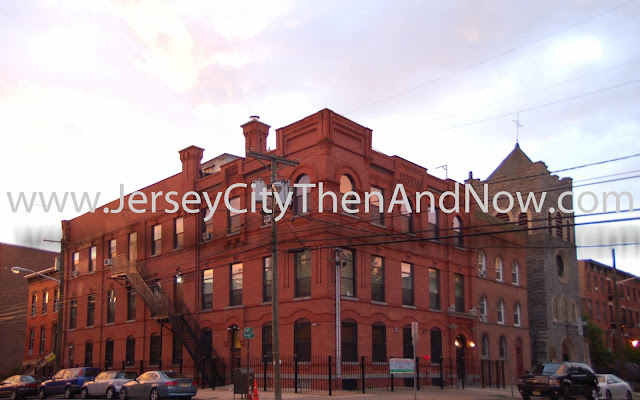 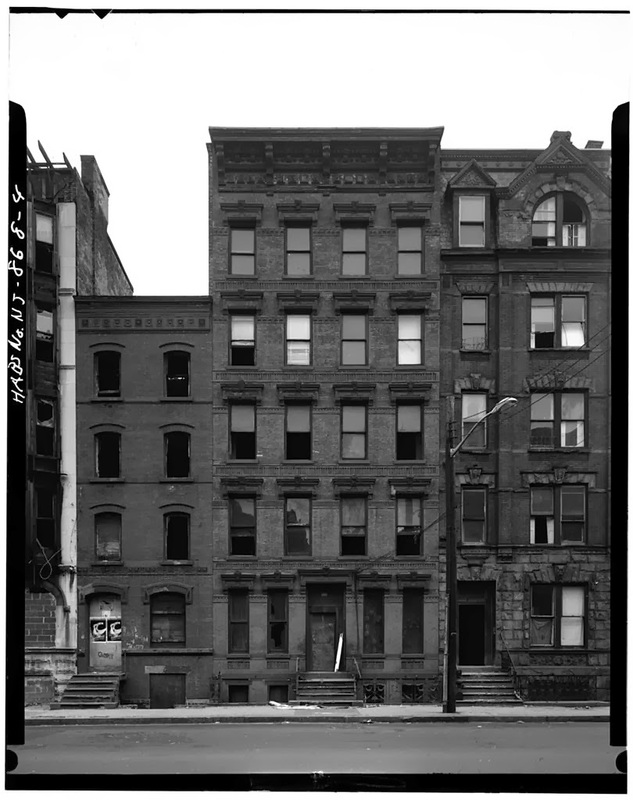 It was the bricked up windows on the second and third floor that provided the crucial clues - there are not many of those bricked up windows in downtown Jersey City. I believe there are some aerial shots of the section of downtown available online from during the demolition work that made way for Metropolitan Towers - if you know where to find such photos, or have anything else to share, please post a link in the comments. 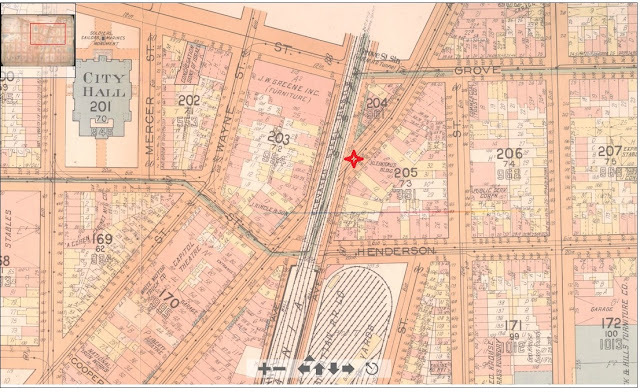 The map is from Rutgers, and the photos are from my collection. 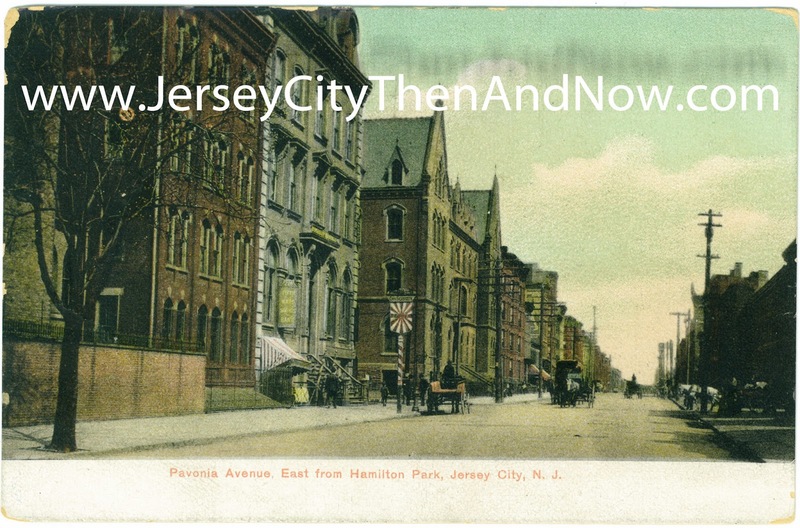 It took me a long time to understand exactly where this postcard photo was taken, despite the details of the location on the postcard. 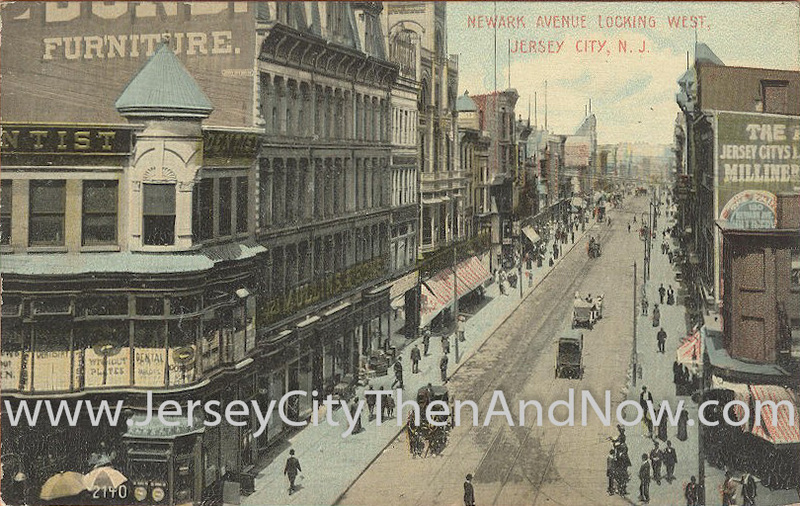 Today the location looks nothing like it did a hundred years ago - none of the buildings that are clearly visible to the left in the old post card are standing today. 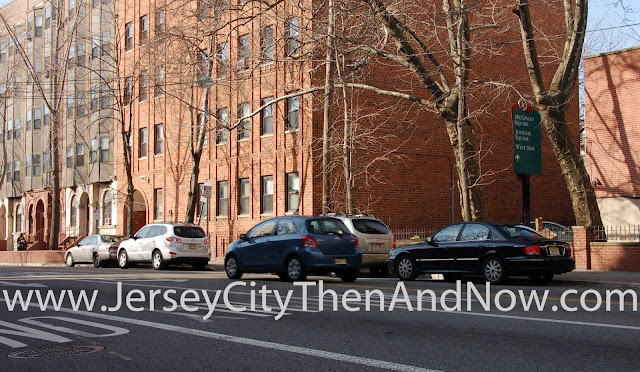 But the recent photo is taken in exactly the same location. 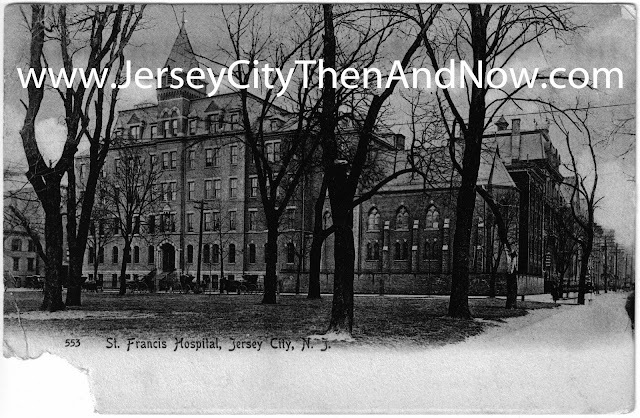 The first building on the left in the old postcard, behind the brick wall, is the chapel at St Francis Hospital. 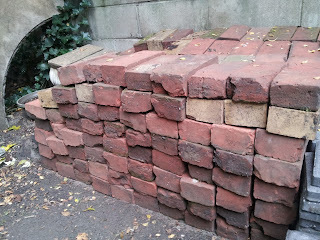 That whole structure can be seen in this older post. 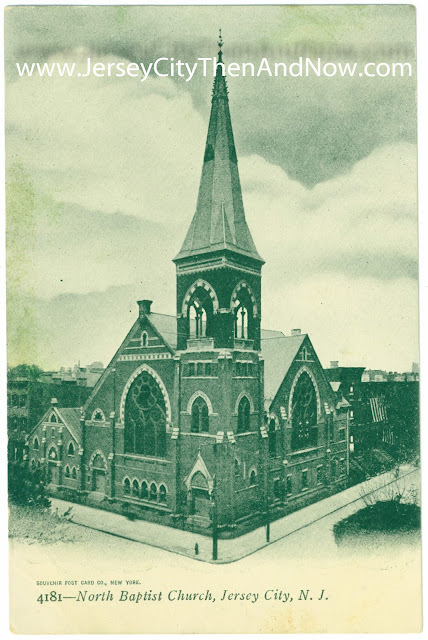 It was the postcard in the older post (that I got more recently) that confirmed the exact location of this picture. 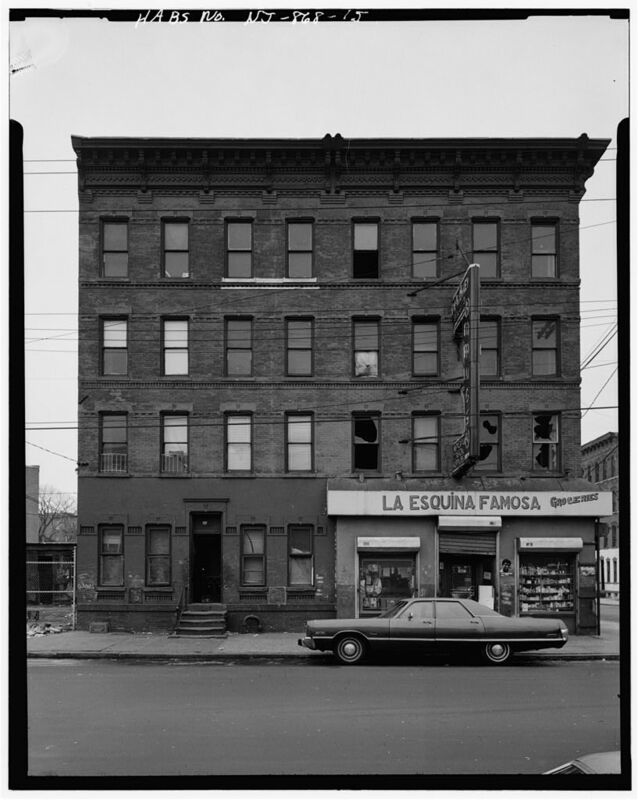 The next building, the building on the corner of Erie St (202 Pavonia Ave at Erie St) with the sign outside was a bank - Fifth Ward Savings Bank. 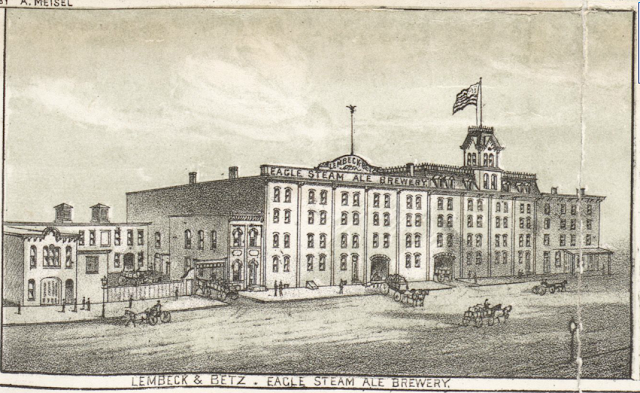 The sign on the sidewalk looks very much like an advertising sign for Dortmunder Beer that I have seen in some other old post cards from Jersey City. 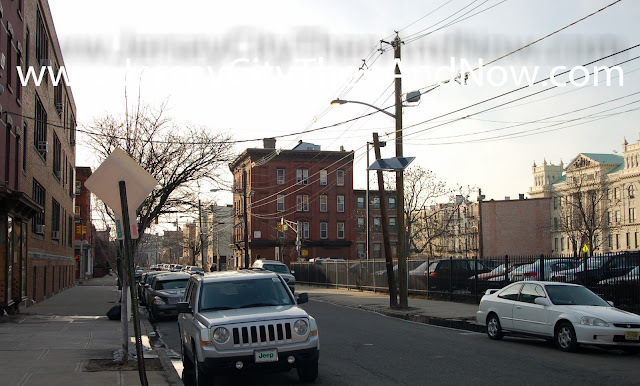 But I am not sure if that is what this sign is advertising - the text is just too small to read. 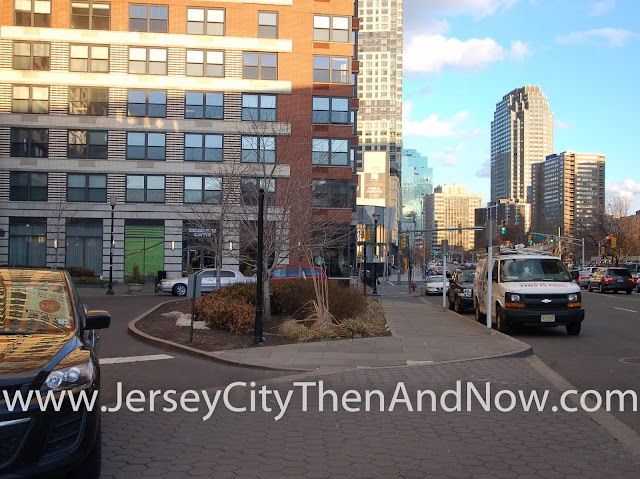 Note that Pavonia Avenue used to be wider than it is today. 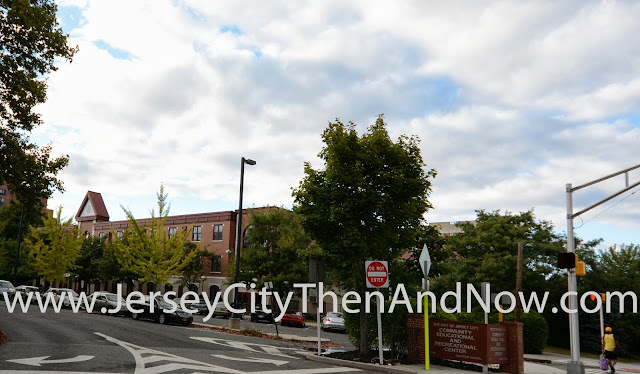 But I also believe that recently, before the construction of the current buildings, Pavonia Avenue was blocked by a hospital building at Erie, and did not reach the park. 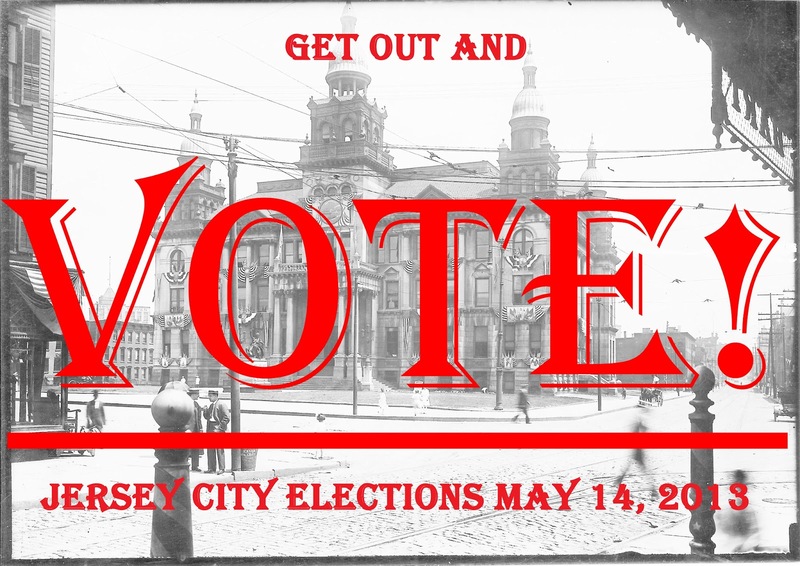 I would like to hear from you! To post comments, you may have to click a 'No Comments' hyperlink below(not 100% intuitive, I know).